Venice is built for style and comfort. Its well balanced, generous proportions are expertly upholstered in luxurious semi aniline leather with a fine eye for detail. Deep foam seating and arm pads are complemented by plump high backs to give classic comfort appeal. 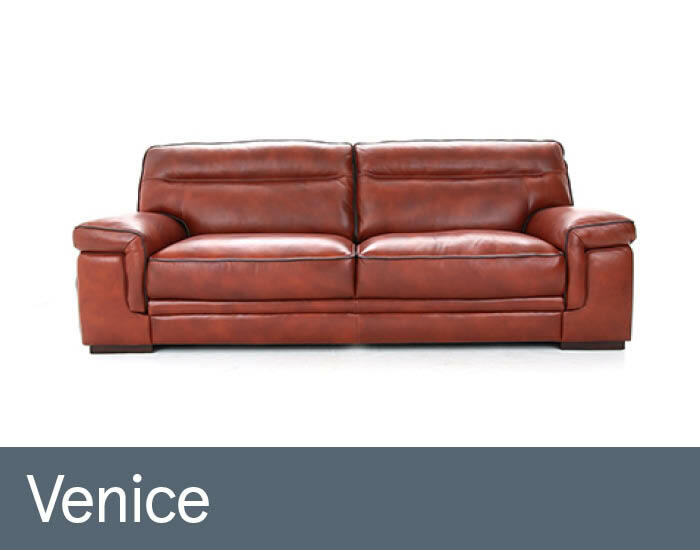 Venice's timeless and refined design will make a welcome addition to any living space modern or traditional.